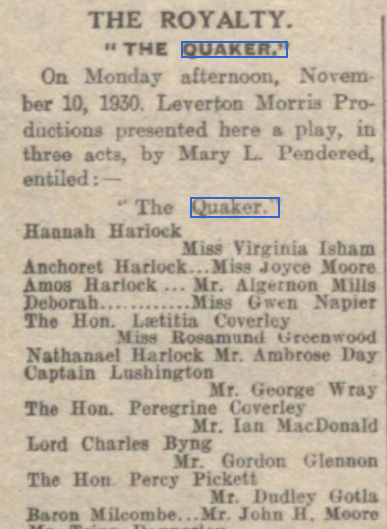 Charles Mortimer was in the cast of "The Quaker", by Miss Mary L Pendered, at the Royalty Theatre, London, on 10 November, 1930. The cast included Mr Ian Fleming, Mr Algernon Mills, Mr Harold Young, and Miss Joyce Moore. The production was a special matinee.